OJ&B Parties with Sonja Morgan At The OK! Magazine Fashion Week Party! 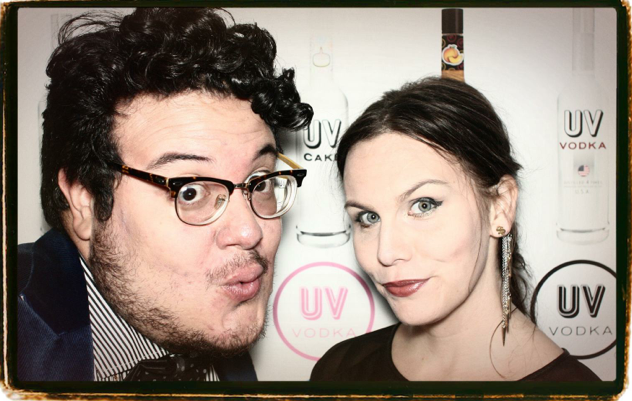 Last week OJ&B had a blast at OK! 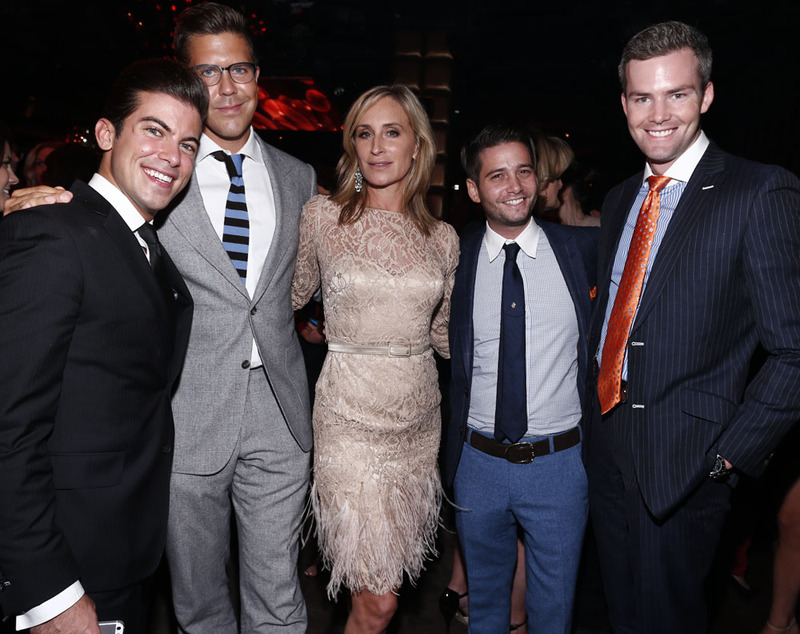 Magazine's 5th Annual Fashion Week Celebration and launch party of OK! TV. The party was sponsored by WLNY/1055, UV Vodka, Pure Silk, Malania Hair Care and Reelz and was held at Lavo in New York City. Housewives from NYC to Atlanta came to party with OK! Magazine as well as a plethora of other reality television faves. Check out who I ran into during the fab fete below! 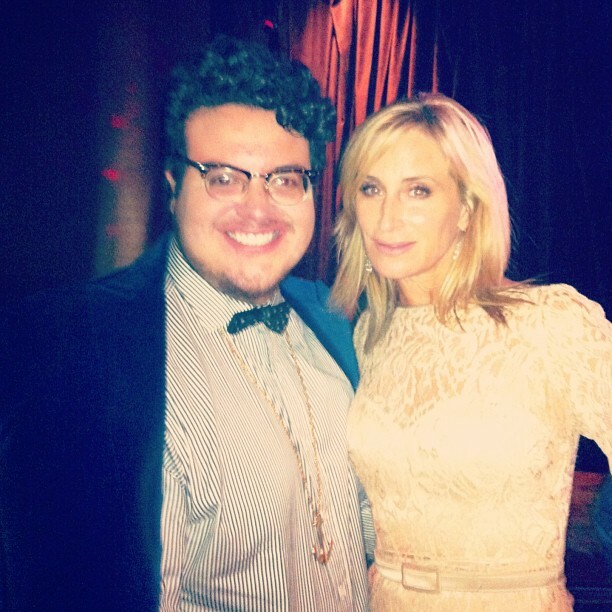 I am so glad that I ran into my FAVE Real Housewife of any city, Sonja Morgan! Sonja is looking mega hot these days and I got to catch up with her at her table. As we danced and chatted about some of her future projects (can't wait for the next season of RHONY), Sonja introduced me to some of the guys from Bravo's Million Dollar Listing who all looked dapper and were ready to have a fun time. Let me know if you are looking to move and I can hook you up with one of these gentlemen. 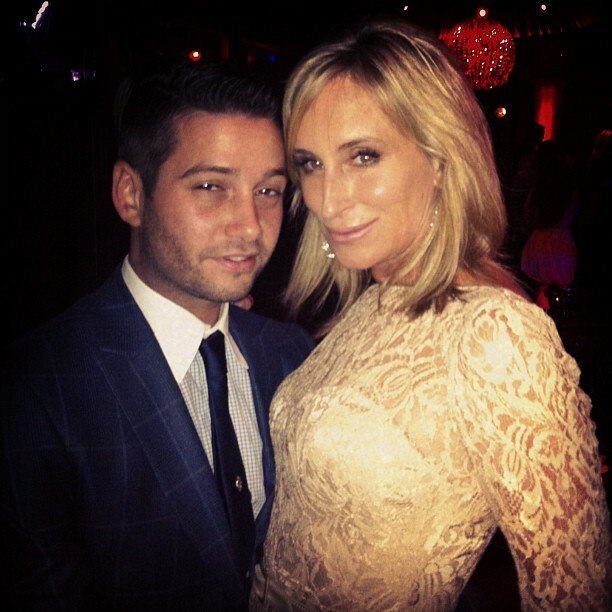 I snapped this fab pic of MDLLA's Josh Flagg and RHONY's Sonja Morgan. The duo was the fiercest at the party! 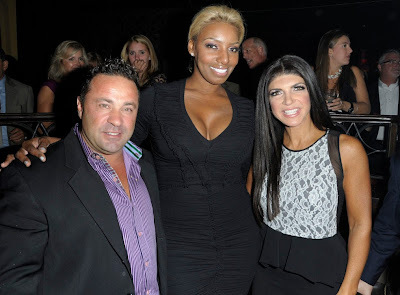 Other Bravolebrities that showed up were Joe and Teresa Giudice from The Real Housewives of New Jersey (no I did not get to flip a table with her) and from my fave Housewives chain, The Real Housewives of Atlanta, Nene Leakes. Nene was SWARMED by fans when she was at Teresa and Joe's table and she was so nice to everyone who approached her. I love me some Nene! 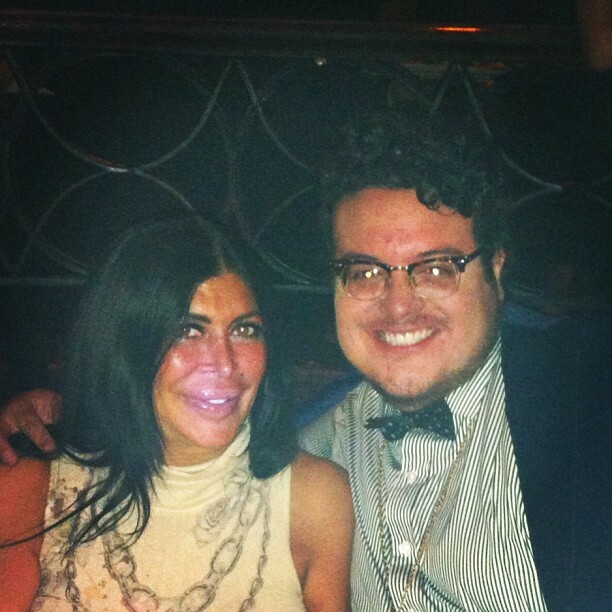 Another reality star that I was super thrilled about meeting was Vh1's Big Ang! Ang had a mini line of people waiting for her. I felt like I was at line at Disney World because people were so happy when they finally got to meet her (obviously me included). Ang was super sweet and the entire time I was just pretending like I was partying with her at Miami Monkey! 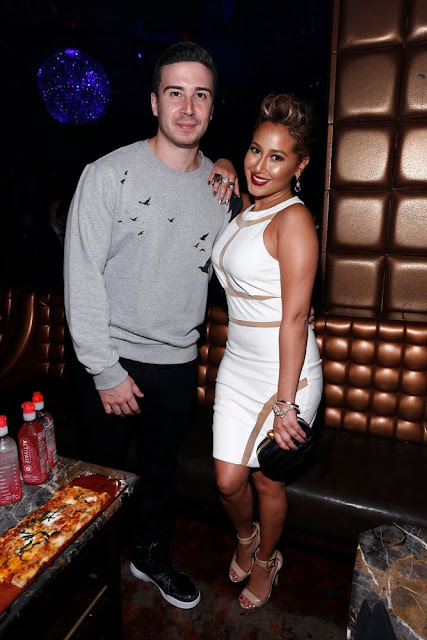 Other notable guests included Jersey Shore's Vinny Guadagnino, The Real's Adrienne Bailon and my one of my fave model faces from the 90's and 00's Niki Taylor (she is stunning in person)! I had a blast at the event! Thanks so much to OK! Magazine for the invite. I hope that there will be many more moments and memories made with OJ&B at your fun and fab events! Jonathan Valdez and Helen Cooper photo boothing it up!